Hello there! Happy New Year to you all! I hope that 2019 brings you many blessings of health and happiness but also creativity and lots of glittery goodness! 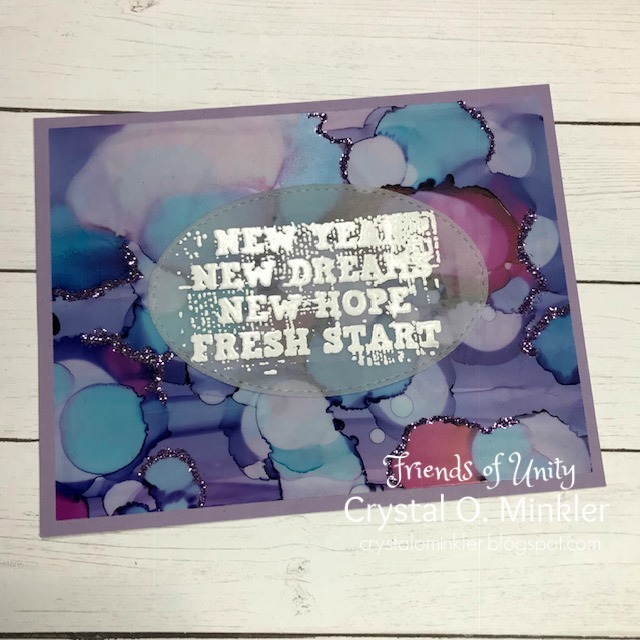 Today, we are hopping with a New Year theme... for me the theme wasn't just to make New Year's cards... instead, I found myself thinking about my goals and dreams for 2019. The beginning of a New Year creates, for me, a feeling of excitement, awe, and wonder about what the year will bring and what part I can have in seeing my hopes and dreams come about. So I think the cards I'll be sharing today reflect some of my thought process... and I hope they inspire you to get creative and make some fabulous projects for 2019! 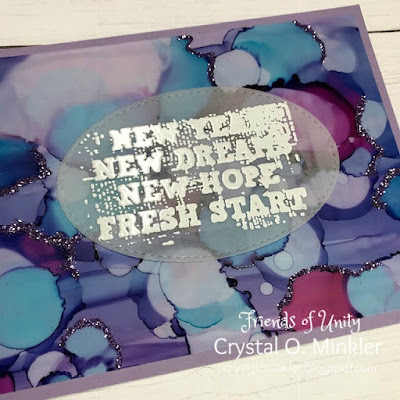 My first card started with an alcohol ink background that I had made a while back that was still sitting on my desk. I love the combination of purples and blues and the almost bokeh-like background that the drops of alcohol ink created. I didn't write down the alcohol inks I used, but I'm pretty sure it was Wild Plum, Raspberry, and Turquoise. I also used Rubbing Alcohol and the Tim Holtz Alcohol Blending Solution. Since I loved the background so much, I decided I didn't want to cover it up with the sentiment so I inked up the sentiment from the New Year New Dreams stamp set with Clear Embossing Ink on Vellum card stock and heat embossed Alabaster white embossing powder. I then die cut the sentiment with a stitched oval die. I trimmed the background piece and mat it on a Winter Wisteria card base. I then got to thinking the card needed a little something else. I searched and searched through my stash for something to add to the background and I didn't have anything with the right colors so I had a fun idea to add a bit of glitter along some of the more defined lines in the background. I have mixed feelings about the end result. I like it... but I think it still needs something. I ended up just adhering the sentiment and moving on to the next project. 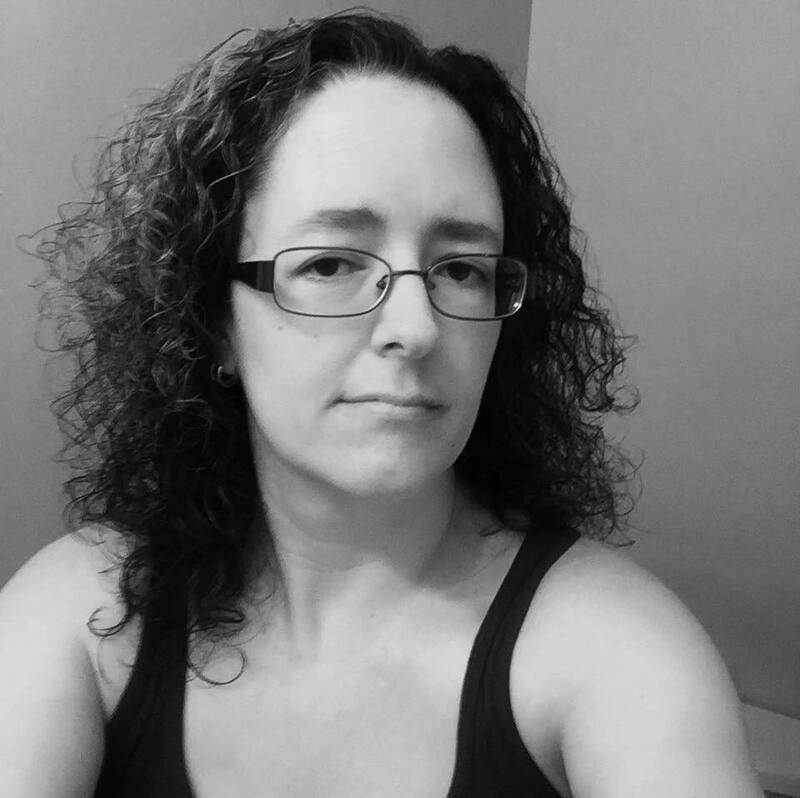 I might just go back to this one and see if I can get it right. I trimmed and die cut my layers and adhered them to a Vintage Cream card base. I fussy cut the girl image and popped her up on the card. I stamped the sentiment (masking a portion of it with a post-it note) from the Beauty, Wine-Cheers! stamp set with Memento tuxedo black ink on to Vintage Cream card stock and then die cut it with a banner die that I trimmed. I popped it up on the card. I still love how it turned out! My third and final card for this hop turned out just as I had hoped. I struggled with this one... this was my second attempt at the background. I had read that the Color of the Year 2019 is Coral... I wanted to focus on that color but my favorite color will always be turquoise (or some variation of that color) and it didn't want to be left out so I decided to blend Abandoned Coral and Peacock Feathers Distress Oxide inks on a piece of Tim Holtz Distress Watercolor card stock. Once I had the colors blended how I wanted them, I splattered some water and white acrylic paint on the background. 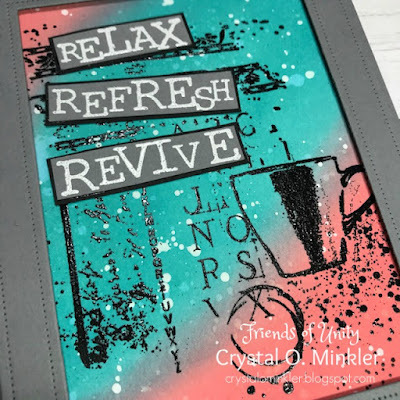 After drying the background with my heat tool, I rubbed an anti-static pouch over the background and then stamped the mixed media coffee image from the Layers of Life set called Revive with VersaMark watermark ink and heat set a fine black embossing powder. 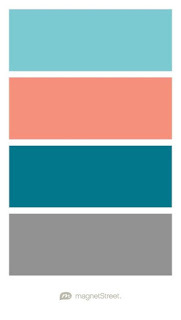 I got to thinking that I wanted to add a third color to my palette so I went searching for color combos and found that grey is a lovely color to accompany teal and coral. So I die cut the stitched frame from Weathervane card stock and then stamped the sentiment in VersaMark on the same grey card stock and heat embossed white embossing powder. I trimmed the sentiment and mat each piece on True Black card stock. I then adhered all of my layers to a Weathervane card base. Here's a look at the inside of the card. 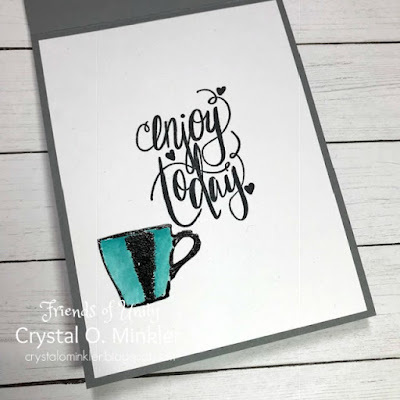 I used the sentiment from the Cuppa Comfort sentiment set and added an extra cup that I watercolored using the Peacock Feathers Distress Oxide ink and fussy cut out. I think it finishes off the card very nicely. Now for some fun... I got to thinking that I love this color combo and wouldn't it be fun to put a little challenge out there to see what you all could create using these colors. So, I found this picture on google and thought it would work for a Color Challenge. It has a couple shades of turquoise or teal, but you get the idea. 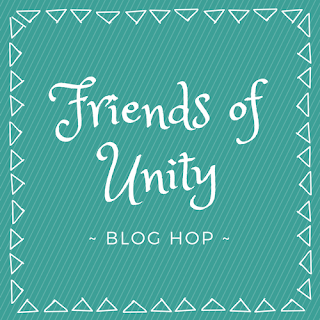 So to enter your card or project to the challenge all you need to do is add the hashtag #friendsofunitycolorchallenge to your post. 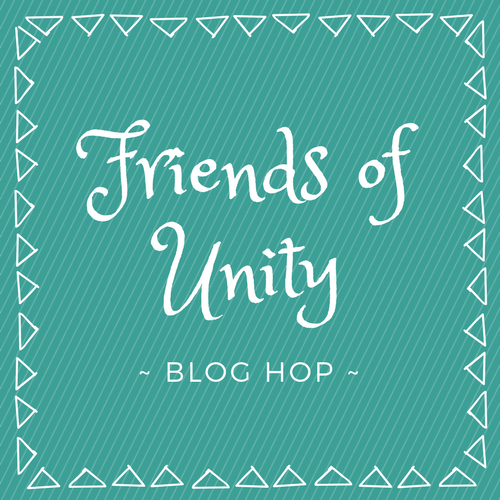 You can post to your blog, Instagram, Facebook, or even the Unity Show & Tell Facebook group. 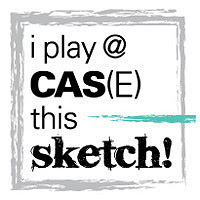 You will have until January 31st to play along and I'll pick a winner to send a little prize to. Sound like fun?! I hope so... I can't wait to see your creations using these colors. 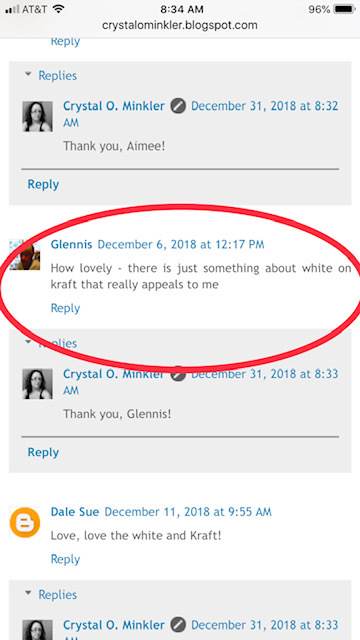 The winner of a Brand New Winter Beauty SMAK kit is Glennis!! Please email me at crystalominkler@gmail.com with your full name and email address to claim your prize. Prize must be claimed within two weeks. 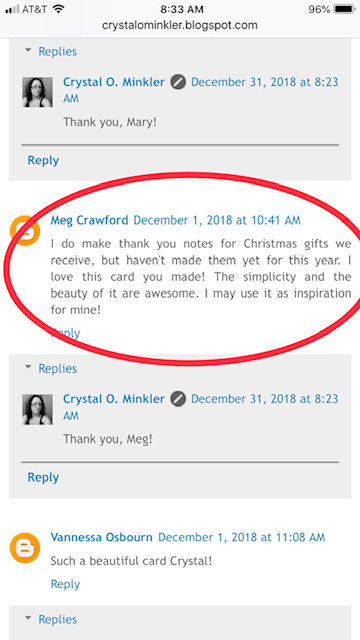 The winner of the Brand New bundle of stamps including December Girl, Jolly Ol' Santa, and Stay Cozy is Meg Crawford!! 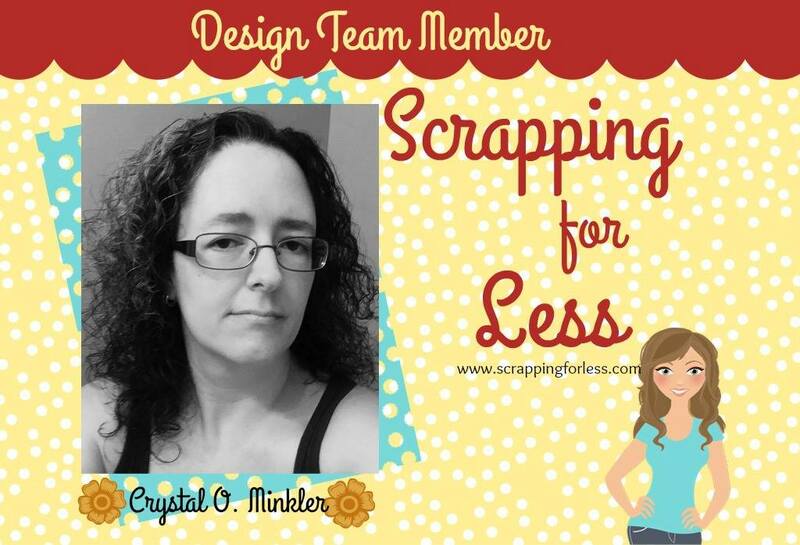 Please email me at crystalominkler@gmail.com with your full name and email address to claim your prize. Prize must be claimed within two weeks. Thank you to all those that have hopped along with us for a whole year! 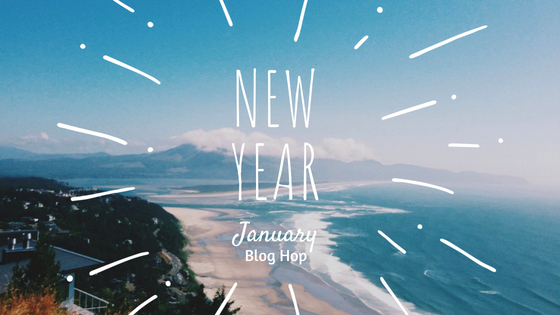 I can't wait to see what the next year of hopping brings! Speaking of... let's get to it. 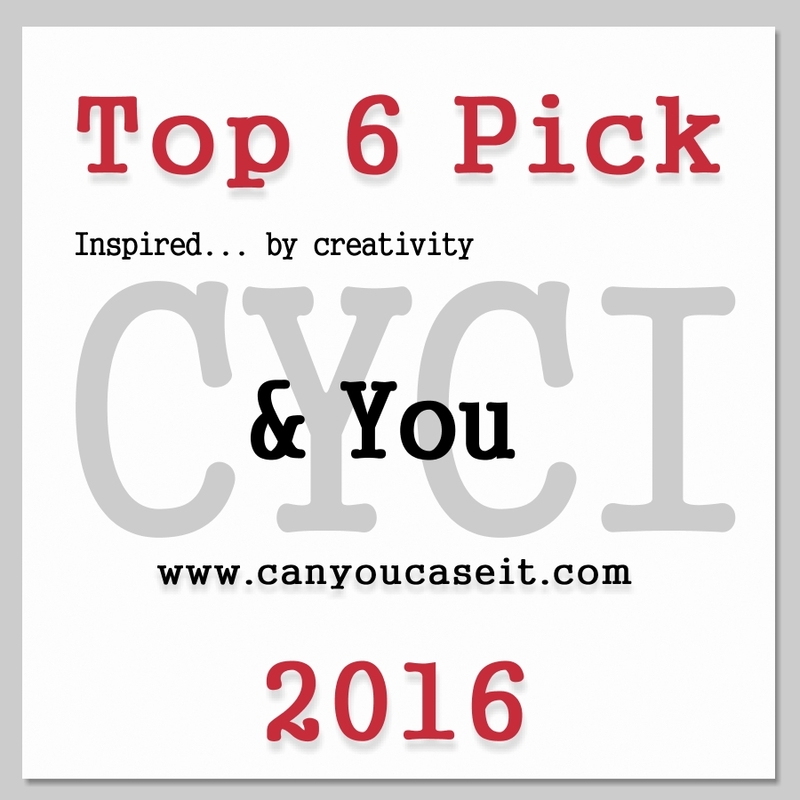 My favorite is your coffee card. The colors are stunning! Just beautiful. All your cards are awesome. I love love the coffee card. The background color with the white and black details are so perfect. The background on the first card with alcohol inks is something I am hoping to try! All 4 cards are wonderful, but my favorite is the turquoise & coral card! Love them! Wowzer you’re on a roll with all these lovely creations! It’s hard to pick a favorite, but the second card is so elegant looking and my pick! Lovely cards Crystal!! That was smart to use vellum for your sentiment- the alcohol ink background is so cool! Your cheers girl is very elegant with the subtle neutrals palate. 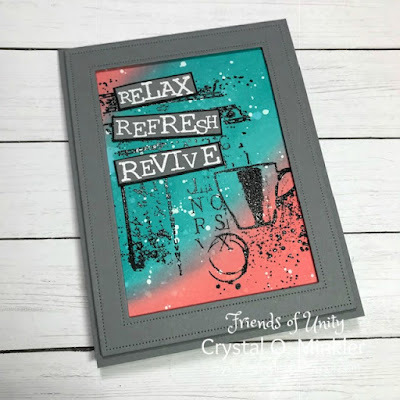 The mixed media coral and turquoise card is cool... I am now wondering if I have any coral enough colored inks to try your challenge. 😊 Thanks for sharing your beautiful creations!! Thank you so much, Dorothy! 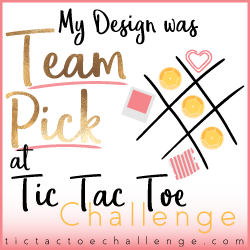 I hope you can find some coral to play along with the challenge. I think it'll be fun! 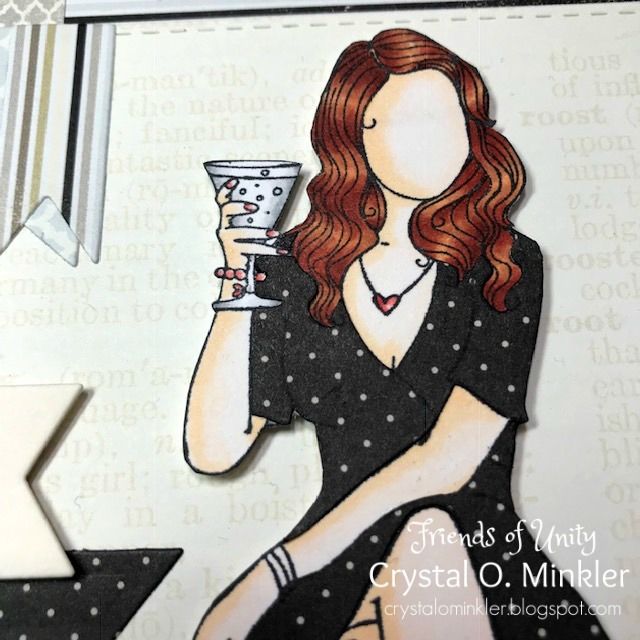 Love the alcohol ink card and the pretty sparkle of glitter! And the polka dot dress is THE perfect little black dress. Absolutely gorgeous cards, all three. Amazing cards! Such fantastic techniques and gorgeous designs. All gorgeous cards. I love your colour combos and your Lovely young lady is beautiful with your choice of patterned paper! WoW! I love all yuour projects this month, especially the simplicity of the third one. Love them all!! The black and white card with the cheers girl is sooo pretty with the pop of color!! And m favorite is also m favorite!! Gorgeous!! I love this card! I wish I could get the stamp as a single stamp. Love these cards Crystal. I've been thinking that I want to play with alcohol inks again soon...but need to clear some space off my desk! Happy New Year to you. Pretty cards! I love the first one with the beautiful colors and the sparkle! WOW! You've been a busy lady. Just lovely cards. I love the magic and colors of your alcohol ink card. 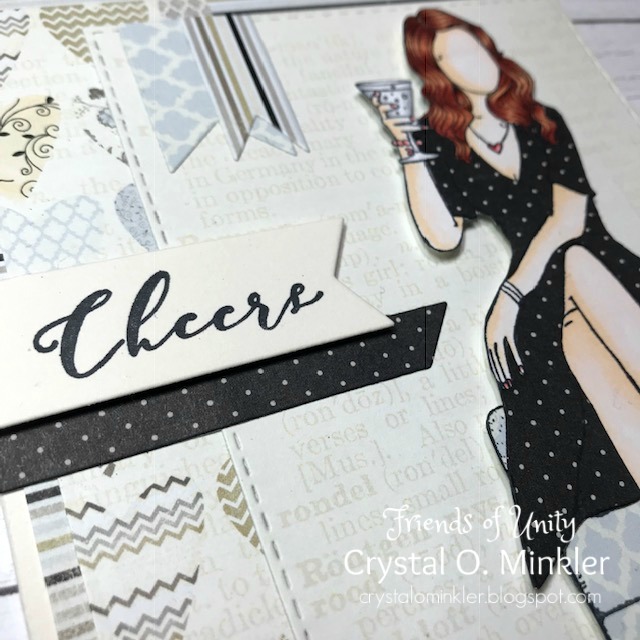 And love the elegance, colors, patterns, stamps, and coloring of your second "cheers" card. I love her hair, you'll have to do a tutorial on that. And your third card is amazing. Love those colors and can't wait to see the challenge entries. That should be fun. Thanks for the inspiration. Happy New Year! 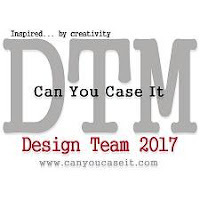 I love your technique work- the AI background is fabulous- love the white embossing on it- I would not change a thing! Love the 2nd card- I have her- need to color her up! 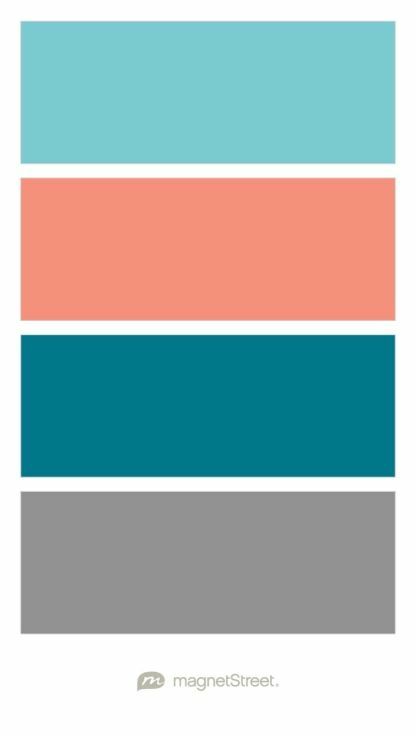 And, how I love the coral, Turquoise and gray- wonderful! CHEERS.. oh this one is definitely my favorite. Love the layers. However, the color palette for the coffee card is fantastic too. These are all great cards!! Love the cards, I glad I am not the only one who hates covering up backgrounds that I spend hours meticulously fussing over. I often think the background outshines the actual card, why cover it. Love what you did on all cards. Very neat cards! Really like how you did the backgrounds!!! On the list of things to experiment with will be those colors!!! Meanwhile, I have a number of cards to create sitting on my desk..... about four projects of twenty cards at least each!!! FUN! All of your cards came out great! The alcohol ink background looks great, the paper piecing came out fabulous and the color combination is fabulous! Thanks for all of the inspiration! I like what you did with the alcohol ink background on your first card. Sometimes when I make these backgrounds some of the edges of color end up a little thick. Using glitter is a great idea that I had not thought of. I also like that you started off the year with some alcohol. Good move! Your next card with all the paper layers is stunning! I love how you repeated some of the paper patterns. It ties everything together so well. Love this one! 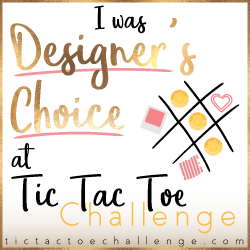 I love all of your cards and the color challenge! So cool! I especially love the last one! All of these are awesome, but I really love the one with coral. My fav color! These are all great, but I love the teal and coral card. Thanks for sharing with us. fantastic cards! congrats to your last winners! Love that alcohol background~gorgeous! So so impressed by your alcohol ink bg! I have never been interested in trying this technique myself , but love seeing when you do it. I love all the many steps you took to create your coffee cup card. The design and color pallet of your cheers card is truly beautiful and the coloring of her skin is wow, flawless! MY favorite is the cheers, girl card!! I know, I know, you thought it would be the coffee card...it is very close. But the Angirgirl is so yummy looking!! 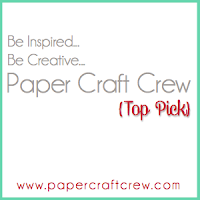 I love love love your cheers card with the paper piec d gal. That BG paper IS perfect. Your cards are all beautiful but the Cheers card from the November kit really caught my eye with the gorgeous coloring and design. that black and white dress, with the little touches of red is perfection! Love all of your cards, especially the girl card. 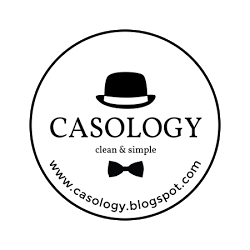 So classy! I also love that you’re having a color challenge. Fabulous! Amazing set of cards!!! My fave is your first one! Love your colouring!!! I love all 3 cards but #2 is my favorite and guess what I have that stamp. Can't wait to make that card! Fantastic job!! All three card are great, but # 2 is my favorite,I got to use my stamp now that you inspired me. These are so beautiful! I love the girl and coffee cup cards! I'm loving the color combo challenge and hopefully I can find time to play.